Graduated with a Bachelor of Dental Surgery from one of the prestigious institution in India in the year 1995. He then completed 22 months residency program in Oral Surgery from Moscow Stomatological Institute in 1999. He also worked as a resident in Sanjay Gandhi Accident and Trauma Hospital in Banglore, India. In 2002 he moved to Jamaica where he obtained license to practice there and in Montserrat (British West Indian Colony). He worked for Kingston Public Hospital, Jamaica as an Oral Surgeon from 2003-2006. In 2006 he accepted the internship offer in Dept of Oral and Maxillofacial Surgery at Louisiana State University Health Sciences Center in New Orleans and completed it in 2007. He then was accepted in to New York University Dental School where he graduated with a DDS in 2010. From 2010 to 2012 he practiced in one of the best dental practices in Houston, Texas. He completed 10 months residency program in Dental Implants and Advanced Bone Grafting procedures and Intravenous Sedation in 2011. 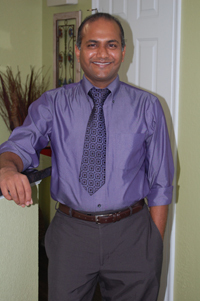 Currently he is the Associate Dentist for Lake Advanced Dentistry in Lady Lake, Florida. His interests are in Dental Implants and Advanced Bone Grafting techniques research and helping patients who have challenging dental situations. Dr. Sagili is married and has two beautiful children, a daughter and a son. He spends his free time with his children, playing Racquet Ball, Golf, Cricket and travelling.